Do I have to pay CGT? The house must be owned by you personally and must be your main dwelling. You cannot move back and forth between two residences and claim the exemption on both properties. Generally, you must have lived in it when you first bought it (not rented it out) to be entitled to a full exemption. How long can I rent out my property? Assuming the above two points are met and you rent out your home for less than six years, you are exempt from CGT. Generally, if you own the property for less than 12 months, you will not be entitled to a CGT discount. 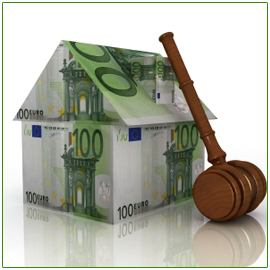 If you’ve had the property for more than 12 months you may be entitled to a 50% CGT discount. Beyond this point it can become a bit complicated as it depends on your individual circumstances, how many properties you own and how frequently you move. So what needs to happen to keep the full CGT exemption? Assuming the house is your sole dwelling, you can rent the house out for six years after you move out. After that, you must live in the house again for an acceptable period to be granted another maximum rental period of six years. You can keep doing this repeatedly. Or if you rent your house out for six years then leave it vacant, it will still be CGT exempt (but you can’t claim the exemption for another house as well). Matt Sinnamon, our Head of Legal & Compliance, answers questions about Capital Gains Tax. It’s important to carefully examine the tax rules on the subject. For more information, talk to your accountant for fianncial advice on the matter, and for calculations, check out the ATO’s updated calculator: CGT Exemption Calculator.